For those of you who don’t know Pia Fortmuller, she hails from Alberta and rode to tremendous success in the Young Rider ranks earning gold medals. 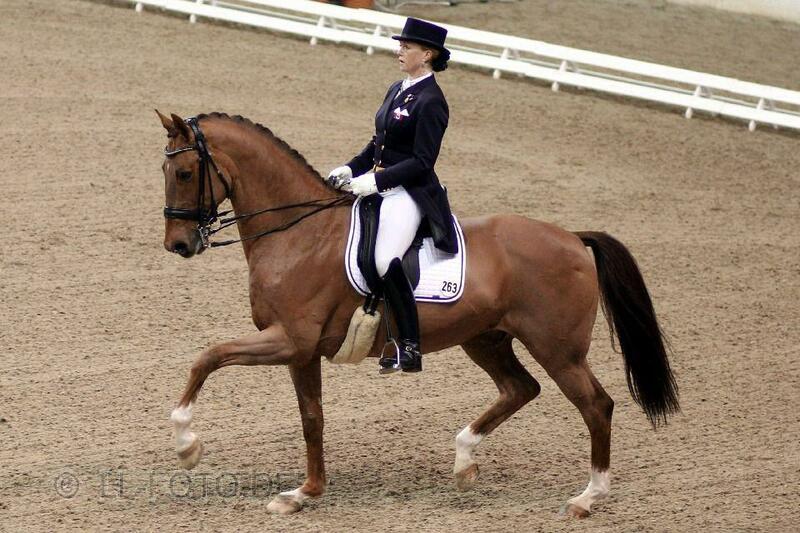 Pia has been in Germany for the last couple of years training with Olympic German medalist Heiki Kemmer. One of her top horses is Orion (who some of you may remember as Leslie Reid’s mount for the 2008 Olympic Games), her declared mount for the 2012 Olympic Games. If you’ve never met Pia, she is absolutely one of the nicest, most gracious and wonderful people you ever could meet. Not to mention a terrific rider! “The summary of the show is as follows : Orion was a Star 🙂 On the saturday we scored a 65.66% in the Grand Prix which qualified us on to the Special on Sunday. In the Special Orion and I performed our best test yet and scored a 67.24%, placing us 11th in a field of tough competitors and giving us another qualifying score for London 2012! During the Olympic Excellence Series hosted by the Canadian Olympic Committee last fall, we were asked what 5 words best describe how we want the Canadian Olympic Team to be seen as we walk into the Opening Ceremonies in London, and into our sports venues. Pia – you are definitely the epitome of being Fierce & Relentless!! Best of success to you in your Olympic journey.